Bollywood Shake is a Dance, Media and Event management company founded in 2009 by Ruchika Dias because of her passion of dance and Indian culture. We have been in Houston since 2011. 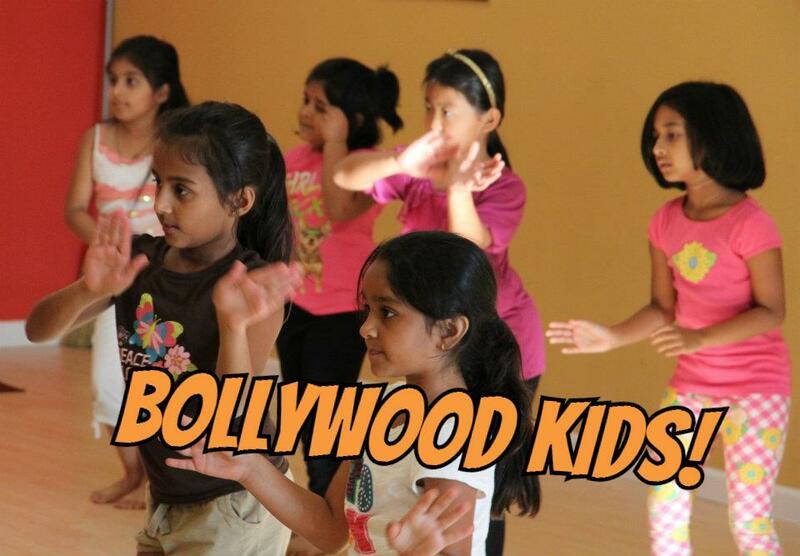 We teach Bollywood dancing with flavors of different Indian dance styles like bhangra, classical and folk dancing. Whether you are a beginner or have experience in Bollywood dancing, this is a fun way to enjoy the cultural experience with other folks! We offer classes for all age groups. Our classes are casual,informal and lot of fun! The combination of steps taught will strengthen the dancer's awareness of musicality,timing,spacing and precision while giving you a good workout! We offer private lessons for your special occasion including bride/groom dance, group dance, kids special groups. Our choreographers will choreograph the perfect dance for you! We can also offer private lessons for a group of 5 or more participants at your location or ours. Our very popular one-of-a-kind Bollywood workout classes offer you 1 hour of non-stop dancing and help you burn calories and lose weight! You will dance to back-to-back Bollywood songs with steps designed to build your strength, flexibility and endurance while giving you a phenomenal cardio workout. The class will also include strength conditioning exercises like squats, lunges, arm toning, push-ups and ab exercises. You'll also learn some new choreography that you can show off to your friends! We have a professional Bollywood dance troupe which is available to perform at your special occasion! Our troupe performs at birthdays, weddings, anniversaries or any occasion. We also offer a special interactive session/class to get your guests on the dance floor! Call us for availability and pricing at 281-310-0742! 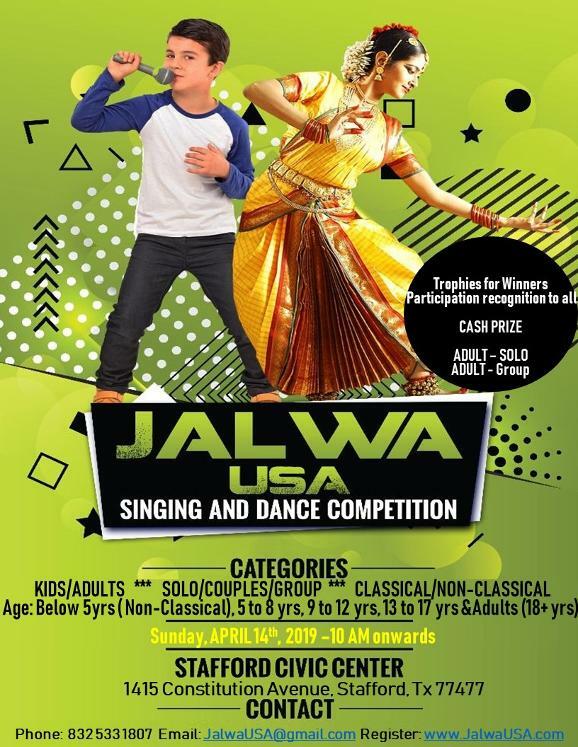 4th Annual Jalwa USA 2019 Dance & Singing Talent Competition will feature over 100 performances featuring the best local talent! ALL REGISTRATIONS FULL! See you at the show! You don't want to miss the incredible lineup of performances!! Get your tickets soon! Special thanks to the event sponsors Parvez Jasani of CellPay, Malti Kumar of Transamerica, Bollywood Shake, Avant Tax & Finance (832-273-0361) and Nisha Sundaragopal of Smile Rangers Dental. 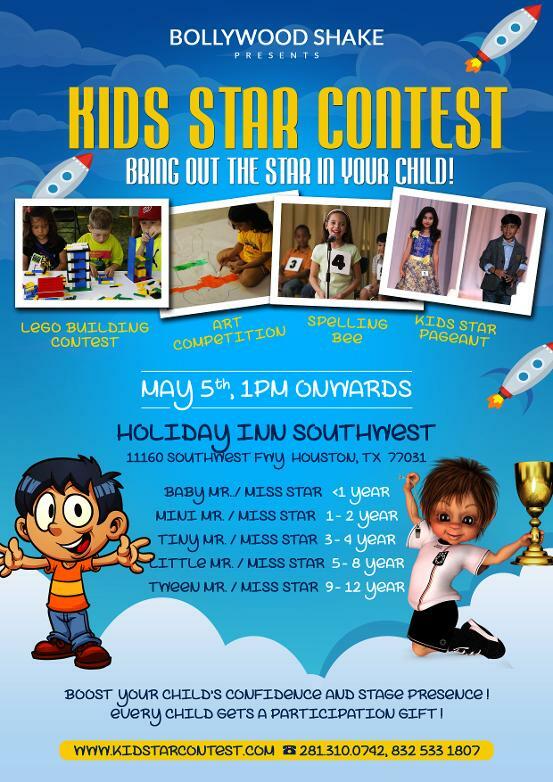 Bollywood Shake brings you the 3rd Annual Kids Star Contest. Bring out the STAR in your child. This year's event will feature the Kids Star Pageant, Art Competition, Lego Competition & Spelling Bee!! Kick off 2019 with a burst of energy! Join our fun workout class & burn calories!! HOST YOU NEXT SPECIAL EVENT BOLLYWOOD STYLE!! Our instructors can come out to your venue or you can host your event at one of our dance studios! Bollywood Shake is proud to announce our very OWN radio station. Do listen to us online on Bollywood Shake Radio or download the Bollywood Shake Radio app on your iPhone or Android. Our team of professional RJs will definitely keep you hooked with great music and entertainment! 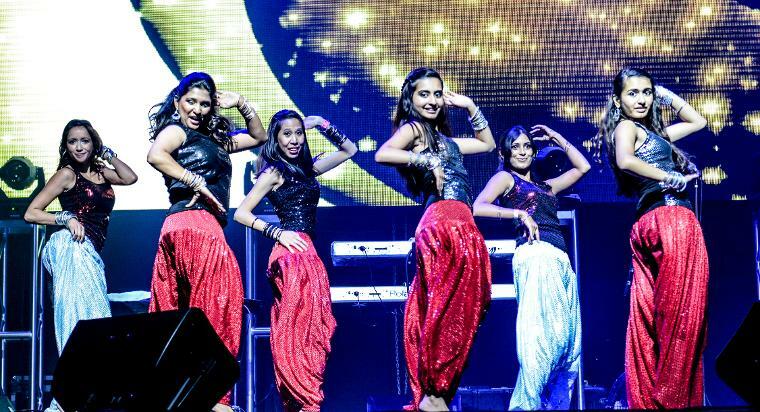 Bollywood Shake is now looking to hire talented and experienced dancers! We are conducting auditions for our dance troupe. 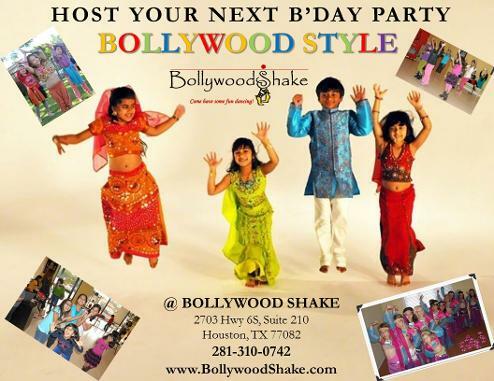 If interested, please contact us at infohouston@bollywoodshake.com to schedule your audition! Bollywood stars wish Bollywood Shake at the IIFA Awards 2014 in Tampa Bay! Sign up for Bollywood Shake latest updates!